The three of us met at NYU Film school and graduated in 2009, the best time there ever was for anyone to ever finish college… ever ;) As is often the case with recent film grads, we had somewhat naive aspirations and ideas of what working in the industry would be like after college. We got into the “making movies” thing as kids and teenagers who loved films. But finding work and money after college to keep our toehold in New York - just practically - came first. We realized that the the road to feature filmmaking is often a long one with little room to make a living at the start. We all hear miracle stories of success straight out of the gate, but as the years went by, we all began to suspect that it was more and more unlikely for us. We struggled to fit time in for narrative filmmaking in between the margins of the gigs that paid our rent. We all came out of school with a craft that could earn us money. Hunt took all of the production sound courses at NYU, mixed a bunch of student films, and came out of school as a freelance production sound mixer, winning an Emmy along the way (Daytime, as Andrés and Wesley are quick to point out). Andrés took all of the cinematography courses he could take at NYU, worked on a bunch of sets, shot a lot of student shorts, and came out of school shooting and working in the camera department. Wesley focused on writing and directing programs, and began producing and directing commercials, music videos, and branded content out of school and now works as a full-time video editor. We’ve certainly worked on the occasional narrative passion project over the years, but it has always been few and far between, and almost never something we were in full control of since we were - more often than not - not the ones footing the bill. At some point, you wake up 10 years later. In October of 2017, we were having a few beers and decided to just make something small, something narrative with some self-imposed rules to make sure we accomplished the task instead of just wistfully opining on it. We promised ourselves we’d do the project in a few weeks on a set date and finish it rapidly afterwards, by another set date. Andrés would donate his camera to the cause, and we would call in a few favors we’d acquired (rare and precious jewels, that they are) after working in the film industry for so long. That first film, “Into Quiet,” though super simple, was crucial: to be able to make something and see it to completion very shortly after, inspired us to keep going. Then we decided to really have some fun by setting up even more rules and deadlines. We’d rotate the director role, and the director would pay for each shoot. We’d keep things as cheap as possible so that the projects didn’t cripple us financially month to month, or prevent us from moving forward with more. To this day, we’ve averaged $2,000-$3,000 per short - all in. We’d work with our resources and within our means; the scripts would have to be simple enough to produce on a shoestring budget, (a lot of scripts wound up on the ash heap by this constraint alone) and the films would need to be produced and shot in one weekend to keep rental overhead low. Lastly - and without skimping on pre-production - we’d make the shorts fast and under our own deadline. We started with one and quickly decided to make three; we’d each direct and pay for one. After three, we decided to make six; we’d each direct and pay for two. 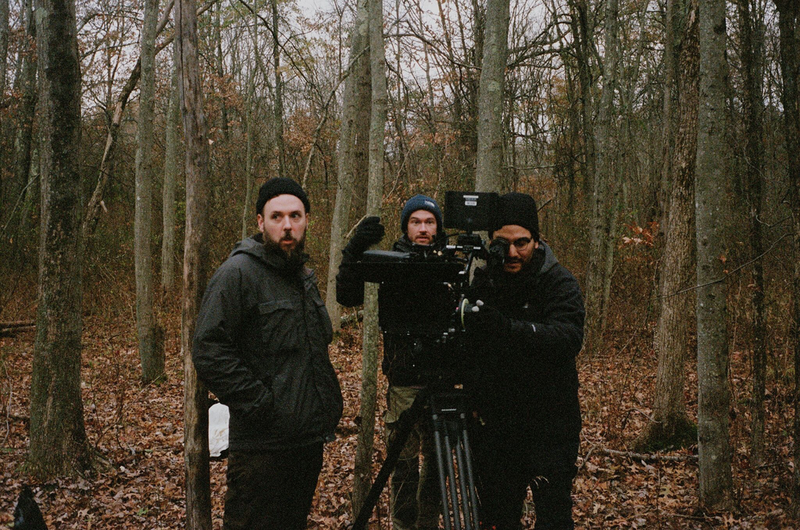 Though we’ve had so many talented friends and collaborators help bring these to life, generous professionals instrumental in maintaining a high level of quality - committing time and resources well below their going rate - it’s primarily the three of us in pre-production and on set. We’ve all pulled focus and set up lights; we’ve all lugged Andrés’ stupid heavy camera and sandbags around; we’ve all filled hybrid roles and contributed in more varied ways than is typical. It’s truly reminiscent of making films as teenagers, but with a better camera, a better sound rig, and a wider depth and breadth of knowledge in craft and story. Regarding release, why not go the typical festival route? While we are submitting the shorts to some festivals, we also feel the landscape changing. Many of the major festivals take films that have premiered online. It’s been amazing to premiere our shorts on the internet, maintain momentum, and interact with our audiences immediately. We’ve been staff picked on Vimeo, featured on Short of the Week, NoBudge, FilmShortage, and the HDR Channel on YouTube - racking up tens of thousands of views over the past few months. At the end of the day, we’re trying to reach further and make feature films. We’ve all worked on them: Hunt has mixed several, Andrés has shot and operated on a few, Wesley executive produced one. But now it’s time to gear up and do one of our own. That’s what’s next. The main goal is always to continue, never stagnate, and add more collaborators and more funding along the way to create bigger and longer stories. This our home for the first six short films that kicked it all off. We’re documenting our work as we go. Let us know what you think of the films. Drop us a line. We’d love to chat.